ETF investing has been growing. This is a relatively new asset class that investors, even small investors, can take advantage of. They offer investors many advantages over individual stocks or mutual funds. Additionally, they can offer investments into other asset classes such as foreign stocks, commodities, and fixed income without the hassle of owning those asset types individually. For years Mutual Funds were the way to invest in a well diversified portfolio, and allow a portfolio manager adjust the holdings to maximize the return. Vanguard and other investment firms invented index mutual funds that dramatically reduced the fees of mutual fund investing, and made these funds more diversified and efficient. ETF investing, particularly index ETFs, extend this still further by providing low cost portfolios of stocks that are easy to buy, and hold. They have much lower fees than many mutual funds, and they are easy to buy and sell instantly. Mutual Funds have fees such as Load (the fee you pay to get into the Mutual Fund), Annual Expenses to own the fund, and then to make matters worse, some have exit fees called back-end loads. ETF investing, in contrast, is much more straightforward. You buy an ETF like it was a stock, so you will pay your brokerage fee (although some companies are waiving this). You then pay the Expense Ratio to hold that ETF. The Expense Ratio typically is less than 1%, and sometimes less than a tenth of 1%. So these are very efficient vehicles. On a side note, this fee is calculated on a daily basis, and assessed. Nobody likes paying taxes on their investment holdings. Unfortunately, dividends and capital gains become taxable events. The goal should be to minimize these events so that you don’t have to cough up taxes at the end of the year. Some mutual funds are actively managed which means that there are lots of trading with lots of trading expense. Additionally, stocks that make money create capital gains which will be assessed in December. As mutual funds are bought or redeemed by shareholders, it often exacerbates the capital gains, because the fund may need to sell shares. The same is true if you are investing in stocks directly, you have similar concerns. ETF investing is typically not managed as actively. They do trade, but they typically trade a mere percentage of mutual funds. The same is not true with ETFs—instead there is a process that results in very tax efficient transactions. Another hallmark of ETF investing is how easy it is to get into a position and out of a position. As long as the ETF is of a reasonably sized, all you have to do is execute a sell order with your broker, and you are immediately out. The same is true with a buy order, once you buy the ETF, it is similar to a stock, it is immediately in your portfolio. With a mutual fund, if you sell the fund, it is usually closed out at the end of the day. To buy a mutual fund, you have to indicate that you have read the prospectus, and then again, it can get executed by the start of the next trading day. Then there may be some prohibitions about trading back into this mutual fund if you have sold it recently. ETFs are meant to be bought and sold with the ease of stocks. They can be transacted immediately, and they have very minimal transaction costs. Investors that have tried buy, hold and sell international stocks know how painful the bookkeeping is. First the transactions are carried out in a different currency so there actually is an FX component of any trade. Dividends are paid in a foreign currency, and there are often tax implications of this. Similar difficulties exist in the world of corporate bonds, commodities, and other asset classes. They just are hard to keep track of, and to transact. These headaches often prevent investors from actually being willing to dive into different asset classes. ETF investing solves this dilemma. ETFs make it easy to get exposure to corporate bonds, municipals, international stocks, commodities and much more. You simply buy the ETF—and track the gains. In the back end, the ETF handles all of the transactions so you don’t have to. This is a big advantage. ETF investing has been a very valuable addition to the investing scene. They continue to bring costs down for investors. 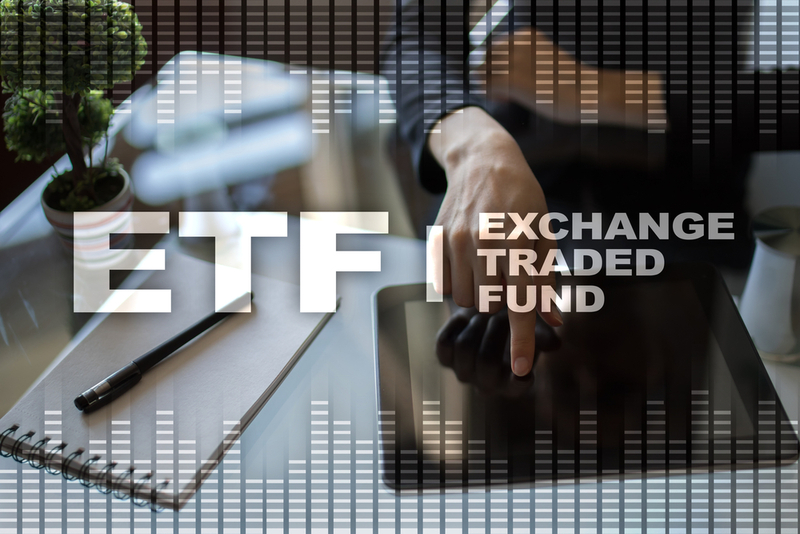 This trend has continued with many brokerages offering free ETF transactions, and the ETFs themselves lowering their Expense Ratios. There has been an explosion of ETF investing offerings. This ensure their will be plenty of consumer choice and competition for the foreseeable future. Additionally these offerings provide interesting niche investing opportunities that allow the everyday investor to dip their toe in Real Estate, Bonds, International Stocks and other exotic areas without taking massive risks and costs. Finally, the typical stock ETF provides excellent diversification at a very reasonable investing cost. And best of all, they are tax advantaged. If you have not explored ETFs before, now is the time. Whether it is your first investment or you are a seasoned investor, ETFs will provide you opportunities and advantages.